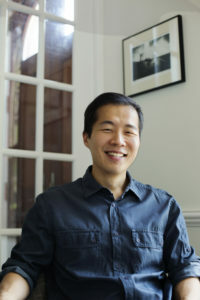 Lee Isaac Chung is an award-winning New York-based filmmaker. As an immigrant from South Korea, he grew up in Arkansas and attended Yale University. At Yale, he was exposed to art cinema, when he gave up his plan to go to medical school and pursued filmmaking. His first major film, Munyurangabo, about an intimate friendship between two boys in the aftermath of the Rwandan Genocide, was well received at a premiere at the 2007 Cannes Film Festival and became an official selection at top film festivals worldwide, including Busan, Toronto, Berlin, Rotterdam, New York, and AFI Fest in Hollywood, where it won the festival’s top prize. It was also selected as one of the famous New Directors/New Films series at Lincoln Center and the Museum of Modern Art (MoMA) in New York, and was nominated for the Gotham Award and an Independent Spirit Award. Whether you are new to filmmaking or experienced, the prospect of telling a fictional story through film can be daunting. Whether it’s the amount of money, time, or collective effort that stands in the way, the task can seem insurmountable. This is a workshop that tries to look at the craft the other way around. What are the basic elements? What is cinema in its barest form, upon which we can build a new work? During our week together, each of us will create a short film or scene employing the resources we have on hand. We will start from scratch, writing and developing projects on day one. Over the remaining days we’ll use our smartphones to shoot and edit, employing each other as willing actors. Each student should arrive with a smartphone or tablet that has ample storage to shoot video clips. Students will need to download and install a free video-editing app, such as iMovie (for the iPhone) or Adobe Premiere Clip (for Android and iPhone). No filmmaking or video editing experience is necessary for this workshop. Apply for a scholarship to Lee Isaac Chung’s class here.